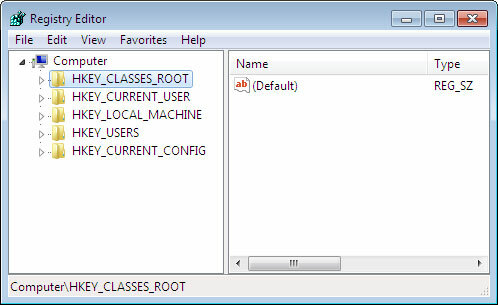 The Windows registry is essentially the central database of the operating system, used to store important details about the computer, such as programs installed, helper programs, start menu shortcuts, desktop wallpaper and more. Practically everything that you do in your operating system is stored within the registry. For example, your recently installed application has a reference to it, somewhere in the registry. The path to the last couple of documents or images that you opened are also stored in the registry, including any programs that you may have uninstalled. The main problem with the registry begins when you access it; the first thing you will find is that it’s highly cluttered. This is because the operating system is inefficient at cleaning up the registry after significant changes have been made. Windows has no problem creating new entries, it’s when it comes time to removing these entries after it’s found that they are no longer of any use, when the problems start. This problem is not helped by the fact that most applications are incapable of removing all of the entries they made within your registry upon uninstallation. Too often do these programs leave behind entries within the registry, this leads to it becoming bloated which eventually degrades system performance. Can Registry Cleaners Compound This Problem? The short answer is yes, but only if the registry cleaner that you use is poorly programmed, altering or removing registry entries incorrectly. This ultimately will leads to additional problems, when it comes time to load up applications. However, the next most important question is whether or not the registry cleaner will speed up your computer, making it boot up quicker and run much faster. The answer to this question is a maybe. This is because whether or not the cleaner will effect change in your system is determined by the condition your registry is currently in. It also depends on how efficient the registry cleaner you use is. 2. 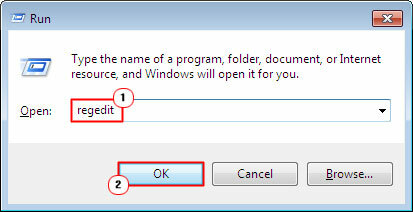 Then press Windows + R, and type regedit into the Run Command Box, and then click on OK.
3. Windows Registry should now load up. However, the main problem with accessing the registry is that it can be quite difficult trying to locate and remove the problem, and it’s very easy to create new problems for yourself, if you don’t truly know what you’re doing. If you decide that you would like to take the chance, then its best that you create a restore point before you start. With the restore point, you will be able to set your system back to a previous state, in the event that your computer stops functioning problem. However, if you make a major mistake while accessing the registry, it is possible that you could render the system inoperable, at which point you will not be able to access the system to restore it. In situations like this, you will be forced to reinstall your operating system. This should set everything back to its default settings. This will mean that you will lose all installed Windows Updates and possibly installed applications. 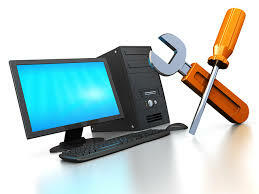 If you know the problem with the computer (or registry) is due to a particular program, then you will have a better chance of locating the defective entries, within the HKEY_LOCAL_MACHINE area of the registry. However, once you access the entries, what do you do from there? Unless you have a good understanding of how the program works, or you have access to someone else that does, there is very little that you can do. Of course, uninstalling the application is always a possible solution, though whether or not it will work, is anyone’s guess. If you are getting a specific error, try and research the error. Many errors can be repaired without the use of a registry cleaner. Try using Windows built-in troubleshooter. Run a full antivirus scan of your computer. What Do Registry Cleaners Fix? Fixing errors associated with program uninstallation. Repairing registry entries for redundant shortcuts and files. If you have attempted any the many suggestions I have outlined above, but are still having problems with your computer, then there are a number of different registry cleaners that you can use. However, I can only recommend you use Ccleaner, and that’s because it is the one that I personally use. That’s not to say there aren’t any other good solutions out there, because there are. If you are regularly face windows related issues that mean there is some more reasons why hard drive not detected in computer system.